Tackling obstacles at the Glens Falls Urban Assault. The spring racing season is underway and there are multiple options available for your running pleasure. With the comfortably warm weather, this is the perfect time to test your legs at a favorite distance or perhaps venture into the unknown. Ranging from one-mile up to the marathon, the following possibilities guarantee something for everybody. 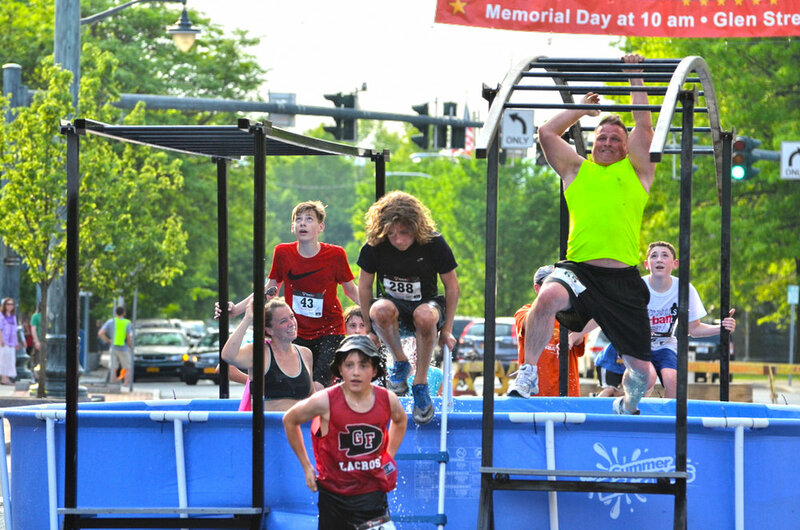 Tackling one of many obstacles in the Glens Falls Urban Assault. 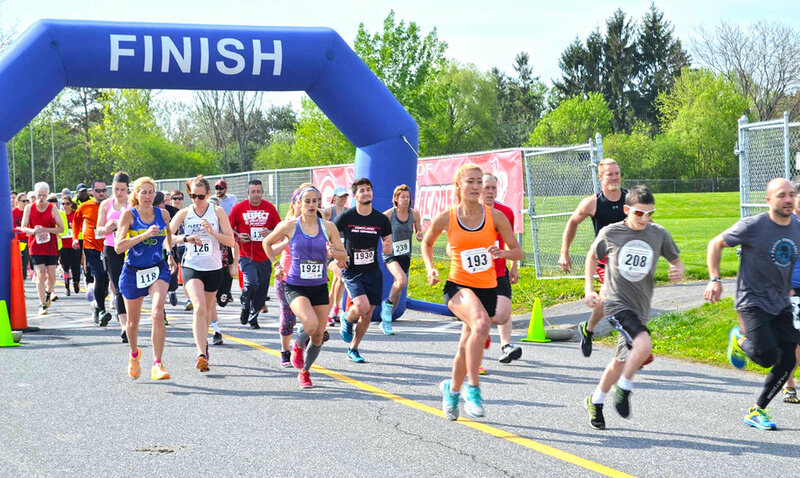 The premier event is the Freihofer’s Run for Women 5K on Saturday, June 3. Launching from the NYS State Capitol Park, this venue provides a more spacious start and an amazing downhill finish. With the longtime race director George Regan taking a step back, there are some changes to this year’s race made by co-race directors Kristen Hislop and Patrick Lynskey. Most importantly, the 5K begins 30 minutes earlier at 9am, a welcome bonus on a potentially warm summer morning. To facilitate early packet pick up, the expanded Expo will now be held at the Sage College Armory on Thursday, 4-8pm and Friday, 12-7pm. This location offers a central location and great parking. Walkway Marathon participants running across Walkway State Historic Park (View from the South). Photo by Bob Kopac. Awed by the photos of runners crossing NYC Marathon’s Verrazano-Narrows Bridge, but unlucky with the lottery to get in? The highlight of the Walkway Marathon, Half Marathon, and College to College 5K in Poughkeepsie on Saturday-Sunday, June 10-11 is the crossing of the Walkway Over the Hudson, a 19th century former railroad bridge transformed into the world’s longest linear park. (Note that the 5K does not cross the bridge). Rising 212 feet over the Hudson, the views are spectacular, so make sure to tote your iPhone to post a selfie! This year the course has been changed to position the Walkway crossing in the cooler hours while runners are still fresh. And in all three races the steep road hill leading to the riverfront has been replaced by a scenic loop through Marist College. As before, several shaded rail trails will also be utilized. It is truly amazing all the varied outdoor options we have right here in our own backyard – be sure to take advantage!